Just minutes for Downtown Tampa and the St. Petersburg area, Little Harbor is the perfect seaside resort for relaxation and pampering. Elegantly appointed this waterfront Townhome has 2 Bedrooms, 1.5 bathrooms, 1 car garage and accommodates 6 people. plush carpeting, extensive maple cabinetry, granite countertops, stainless steel appliances, washer and dryer, cable television, internet, toll free calling in the continental US and the unit is fully furnished. Activities start with 3 marinas with direct deep water access, event calendar, secluded beach, pool and hot tub, fitness center, tennis, outdoor facilities and water sport rentals. Dining and entertainment can be enjoyed on site with the Sunset Grill Restaurant,Sunset Lounge, Water Front Patio at the Sunset Lounge and the Beachfront Tiki Bar. Please click on the links for our virtual tour. Disney World, Universal Studios and Sea World 90 minutes away. Carnival Cruise line less than 30 minutes away in Tampa. St. Armand Circle and Sarasota shopping also 30 minutes away. 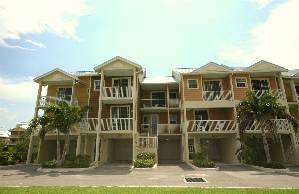 We had a recent stay at Little Harbor and we would highly recommend this rental. The townhome was very nice, the views were fantastic, and the beach was absolutely beautiful. We thoroughly enjoyed the amentities at the resort (playground, pools, tennis courts, beach) and we would definitely stay at this rental again. Deposit: 300.00 which will be held until keys are returned to owner. Cancellations and Refunds: Refund available up to 1 month prior to reservation.